Hat Hut, the great Swiss label that has been releasing top-notch experimental jazz since God knows when, continues in their hatOLOGY series to bring some older recordings back into the limelight. In addition to these, they've also just released Matthew Shipp's solo performance Invisible Touch at Taktios Zurich. 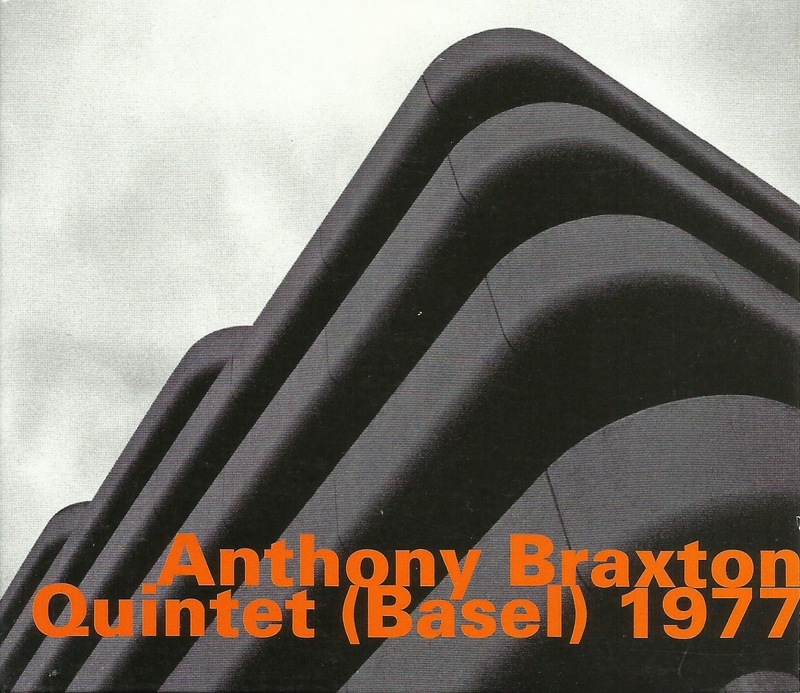 Quintet (Basel) 1977 is a remarkable piece of Anthony Braxton's history for several reasons. First, as Art Lange indicates in the liner notes, the saxophonist/composer was in a period of fluctuation, having dissolved his first quartet with bassist Dave Holland, drummer Barry Altschul and trombonist George Lewis (who had replaced trumpeter Kenny Wheeler). A new quartet was around the corner, but first came this quintet - a set of instruments that Braxton hadn't used much (if at all) up to this point. The real surprise comes from the addition of AACM stalwart Muhal Richard Abrams on piano. Lewis returns on trombone, Mark Helias plays bass and Charles "Bobo" Show plays drums. Braxton uses just three of his many reeds: alto and sopranino saxophones and B-flat clarinet. With small-print CD covers, we miss out on the illustrated titles of Braxton's pieces. But the speakable titles assign four of the five tracks lettered sections of his "Composition 69." "Composition 40 B" closes the set. The rapport between the members of the quintet can be felt from the opening moments. Anyone better acquainted with Lewis' computer music and software need to hear him cut loose. In "Composition 69 J" he takes Braxton's ideas and shows he can blow just as wildly, tonguing the notes rather than relying on the slide. The physical part of his playing is on clear display. Abrams follows Lewis with his own aggressive solo. This isn't all serious music either. After a particularly rabid sopranino solo in "Composition 69 M," a vocal whine sounds like it's offering commentary on Braxton. Actually, it's Lewis again, entering with growl through a mute which surely was meant to evoke some old curmudgeon. Further, the quintet doesn't shy away from semi-straight jazz either. "Composition 40 B" begins with a line that feels like sped-up bop. Helias starts walking and inspires a clean solo from Abrams before time eventually slips away, leaving the pianist playing at opposite ends of the keyboard. Along with some great propulsion from Shaw, who passed away in January, Quintet (Basel) 1977 serves as a good entry into the Braxton catalog for newcomers. Which is not a condemnation of the set. Presumably a good number of Ayler fans didn't plunk down the dough for that set when it came out. (Mine was not a promo, in case anyone wonders.) So those folks are hereby encouraged to find this disc, which represents one of highest points in the Ayler canon. Cherry knew how to react, respond and compliment the elements of Ayler's playing - the wide vibrato, the altissimo wails (where the melodies were in full bloom) and the way they delivered his unique compositions. 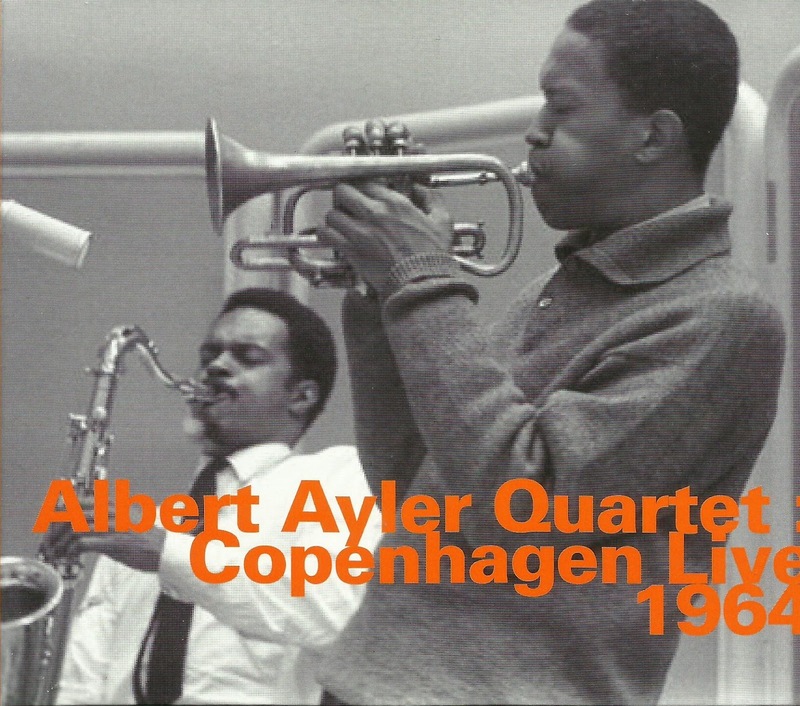 Recorded at Club Montmartre, the six tracks also present elements of Ayler's writing that didn't always come out on other records. (The set draws on all the tracks from Vibrations, with the glaring exception of "Ghosts," which is actually a nice surprise.) Gary Peacock's bass cuts through Sunny Murray's liberated drumming, and the interaction of the bass and horns elevate the impact of the writing. So the story goes, Cherry drifted away from the Ayler group shortly thereafter, staying in Europe and eventually discovering his taste for world music. It's hard to tell what would have happened had they stayed together. But this session, which is issued on its own for the first time, gives a good taste of what they accomplished during their period together. I don't like mimes. Maybe this feeling can be attributed to growing up during a time when Shields & Yarnell were part of primetime variety tv shows. Or maybe the site of too many theater students stuck in an invisible box, full of forced facial expression, creeped me out. Marcel Marceau was an innovator but I'm simply not feeling it. His progeny can stay away. 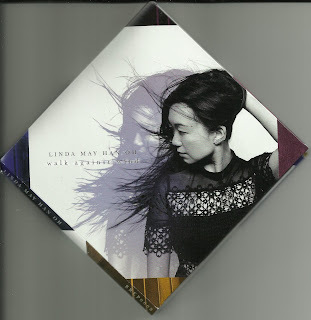 Linda May Han Oh, whose birthname now follows the Westernized first name that has graced her previous solo albums and appearances with people like Dave Douglas, has found inspiration in Marceau's oeuvre. The bassist appropriated the late French performer's most famous routine, "Walking Against the Wind," as the title track for her latest release. It enters deceptively with Matthew Stevens' guitar playing a metronomic figure while Ben Wendel's tenor adds a high melody over it and Oh follows Stevens underneath. When Justin Brown's drums officially declare themselves around two minutes, he shakes things up, like a Mersey Beat groove just dropped out of the sky. Before long, he's stepped back and things sound pensive again. The leader, whose thick toned attack is a large part of the intrigue here, takes a brief solo which redirects the whole tune, leading into an edgy statement from Wendel, with the band getting tense underneath him before they return to the opening groove. Oh hasn't changed my mind about those non-speaking Simpsons punchlines, but they sure inspired her to come up with an absorbing composition. Besides, the music won me over before I read the liner notes in Walk Against Wind's unique packaging. But more about that later. The rest of the album continues the exploratory direction that marked Oh's previous albums. But even as things can change shape quickly, sometimes within the confines of one track, the overall feeling has a strong sense of direction, from the writing to the way the band develops it. The angular jumps in "Perpuzzle" features Oh adding wordless vocals to the fray. Often this device can be a distraction but her syllabic choices never get in the way, working more as a melody than a percussive addition. "Speech Impediment," which proceeds it, also includes vocals, in a piece that starts slow and subtle, but gets jerky as things move on. Oh's compositions demand that you listen closely until the very end, because she's likely to add some surprise in the final moments rather than simply letting the band go into a coda or closing vamp. In "Lucid Lullaby" Wendell plays a line that sounds very close to Charles Mingus' "Canon" in the final moments. "Midnight" features keyboardist Fabian Almazan adding some overdriven electric piano that pushes Stevens and Oh (who switches to electric bass on a few tunes) into a prog rock direction. "Deepsea Dancers" was inspired by tragedy but the steady undercurrent leads to counterpoint and a warm feeling of reassurance, as different players take turns restating the melody and soloing over it. Biophilia, a label that Almazan created, doesn't press CDs. Instead the label prints a two-sided cover on FSC-certified (Forest Stewardship Council) paper and plant-based ink that unfolds into 20 panels like origami, which contains all the traditional elements of an album cover and a download code. The idea behind the label delivers the tactile element of music buying along with the ease of digital downloading. Walk Against Wind began receiving attention before it even hit the street (if that phrase still applies to an album in this format). But Oh and her band deliver once they're given the attention, gathering an array of moods and blending them into what's likely her strongest release yet. This year, there was actually something coming out on RSD that I wanted, the previously unreleased soundtrack that Thelonious Monk did for Roger Vadim's Les liaison dangereuses which he recorded in 1959. As mentioned in a previous entry, I stood in line at Juke Records the morning of Record Store Day, only to be beaten to the Monk record by the first guy who walked in the door. However, when I was leaving, I was told that the store might be able to get additional copies. Call in a week, they said. Fast-forward to yesterday, a few phone calls and visits to Juke later. One copy was left. If my life was a Warner Brothers cartoon, I probably would have dashed into the store while Red Bob was still saying, "Hello? Mike?" into the phone. Instead I came in after work a few hours later. The above photo originally had me peering over the top of the cover, not gloating (I'm not that kind of record enthusiast, folks) but just beaming. However my eyes seemed creepy so I cropped myself out. The box was expensive, but, man, what a box it is. Not simply a holder for two records in paper sleeves, the box houses two sealed album covers and a 50-page 12"X12" booklet of essays about the recording sessions, the film and Monk's relationship with Paris. There are also photos from the sessions and the film. Musically, the only brand new, never-recorded-anywhere-else by-Monk track is the hymn "We'll Understand It Better By and By," which is less than 90 seconds. There are multiple takes of the other seven tunes. "Six In One" appeared under another name a few months later on Thelonious Alone in San Francisco. But there are several points of interest. First of all, Monk's band features Charlie Rouse, who had just joined him recently and was still in the process of developing an attack that he maintained for years with Monk. Sam Jones (bass) and Arthur Taylor (drums) had come aboard recently as well, appearing along with Rouse at the first Town Hall Concert, with a large ensemble. They'd also appear, along with Thad Jones (cornet) on Five By Monk By Five, a prime Riverside album. Sam Jones especially was a great bassist for Monk, giving him a solid bounce. Taylor had played with Monk during his Prestige era and complimented the pianist well. A few tracks also feature French tenor saxophonist Barney Wilen joining the group. His additional voice on "Crepuscule with Nellie" gives it more depth. Most of Side Four of the album is taken up by the real discovery on the album - a fly-on-the-wall recording of Monk trying to teach Taylor the appropriate beat for "Light Blue." Of all the pianist's tricky songs, "Light Blue" ranks up there because its lumbering rhythm and tempo make it a challenge to get the feel right. The 14-minute track reveals the pianist working Taylor, chastising him ("Dumb motherf***er") and keeping to the task. Maybe the whole thing is for completists, but the booklet and that track assured me that I made the right choice. A CD version will be released in a month or so. I was wondering if I'd make it out to see Clap Your Hands Say Yeah last night, now that I had the new Monk set to digest. However, I made it through three of the four sides, so I figured that would hold me until the next morning. Off into the pouring rain I went, to check out Alec Ounsworth and company. I spoke with Ounsworth for a City Paper article to preview the show, in which he said that the lineup of the band was completely different than last time they were here. What I wasn't expecting was the heavy roar that the new four-piece lineup produced. When writing the article, I didn't have the guts or the conviction to compare the new CYHSY album to the Cure or New Order. During my 20s, I couldn't stand the Cure. They were too whiny, mopey and just too caught up in an image to me. Years later, I've come to a little more of an appreciation of them, noticing the catchy elements of their songs, and a dry wit that underlies the mopiest (if that's a word) of their lyrics. The Tourist does have a bit of that Seventeen Seconds-era Cure going for it, with the right combination of guitar and keys scrambling on top of driving beats. Occasionally they also have some of the primitive jangle of New Order too. But if CYHSY can sound like the Cure in the studio, in person they come on twice as strong without needing of the bands accouterments. Sure, Ounsworth casually rubbed his eyes during "Better Off" but it was hard to tell if that was an affectation or whether the brim of his ever-present hat couldn't keep the bright light out of his eyes. After a few songs, he engaged in a little small talk, which got as far as thanking us for being there before he admitted that's all he could think of saying. He later told us that Pittsburgh was the penultimate show on the tour, and the band was clearly tight and ready before they hit Club Cafe. More often than not, one song segued quickly into the next, such as when the almost-hit from their debut album, "Is This Love," slammed right into the drum-machine-powered title track of sophomore album Some Loud Thunder. Ounsworth turnedout to be a pretty vicious guitarist too, peeling off some caterwauling leads. His fellow players (whose names I didn't get) were no slouches either. The 17-song set included five songs from the new album, drawing the rest from the band's previous four. Selections from the debut seemed to get the best response. Ounsworth might have even cracked a grin when someone voiced loud approval for "Over and Over Again (Lost and Found)." It was hard to tell definitively, but he appeared to be chewing gum throughout the set. Before writing this review, I went through the set list (snatched off the stage at the end of the night), picking out what song came from which album. I decided to compare the version of "Heavy Metal" on the first album with my memory of last night's final song. While the recording does have some overdriven bass, the upper frequencies of the song sound relatively lo-fi. Last the band attacked it like the Volcano Suns in their prime, churning up a big roaring sound that maintained a catchy, hooky quality. The band's previous visit to Pittsburgh was good, but the memory of that lineup seemed to have more to do with atmospherics, which were a big part of 2014's Only Run. While they started with the opening track from that album ("As Always") it served as a jumping-off point for the rest of the set. Last night was about the Rock. And it sounded fantastic. Solo guitarist/vocalist Laura Gibson opened the evening on a more subdued note. Her first song gave me pause, as she sang in a very affected cat-watching-a-bird-voice, over sparse chords. A few songs in, she won me over with some haunting finger picking and great story in the title track to her album Empire Builder. Sometimes the blues can sound very simple and effective, hitting the ears like comfort food, with an exhilarating rush coming around bar 9 or 10 of a 12-bar pattern. Sometimes the structure is more deceptive. After listening to Charlie Parker's "Kim" for several years, it was only when I dug into the Parker Omnibook that I realized it was built on the blues, so lost was I in the melody. The same goes for Charles Mingus' "Goodbye Pork Pie Hat." It's only when you play the chords alone (available in the More Than a Fake Book collection of his tunes) that it becomes clear that Mingus was stretching the harmonic possibilities of the blues for something greater. 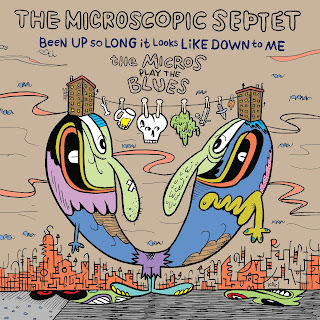 The Microscopic Septet doesn't set out to redefine the blues on their latest album, but neither are they content to revel in the parlor tricks of the blues either. This band has always approached tradition with an experimental aesthetic, with a lineup that features soprano, alto, tenor and baritone saxophonists and a three-piece rhythm section. The bottom line: swing it like crazy. Not all of the tracks on Been Up So Long adhere to the blues structure either, and even some that do are deceptive. Like "Kim," they place the emphasis on the melody, so the changes might not be noticed right away. "PJ In the '60s" refers to soprano saxophonist Phillip Johnston during the decade that birthed the New Thing (so to speak), and in doing so opens with tenor saxophonist Mike Hashim unleashing some free squonk. But that's just a red herring intro, which is followed by a straight, four-sax AABA melody that makes the band sound bigger than a septet. If you're looking for wild blowing, it comes one tune later in "When It's Getting Dark," a Batman-esque blues with gruff pronouncements from baritone man Dave Sewelson. Throughout the horns contrast with each other in terms of attack and delivery, with alto (Don Davis) and tenor sharing space in some choruses, followed with soprano and baritone doing the same. In "Cat Toys" Hashim almost sounds like a few different tenor players, going from dry and reedy to a more liquid, dreamy swing, with even a sprinkle of growling - all within a few choruses. Drawing on different styles of blues, they offer a great Ellington-style sound on "12 Angry Birds." The wildest moment comes when the Septet re-imagines the old Christmas hymn "Silent Night" as a blues with an opening chorus that sounds like it got tangled in Thelonious Monk's "Crepuscule With Nellie." In doing so, it makes it feel acceptable to be listening to the song during the other 11 months of the year. 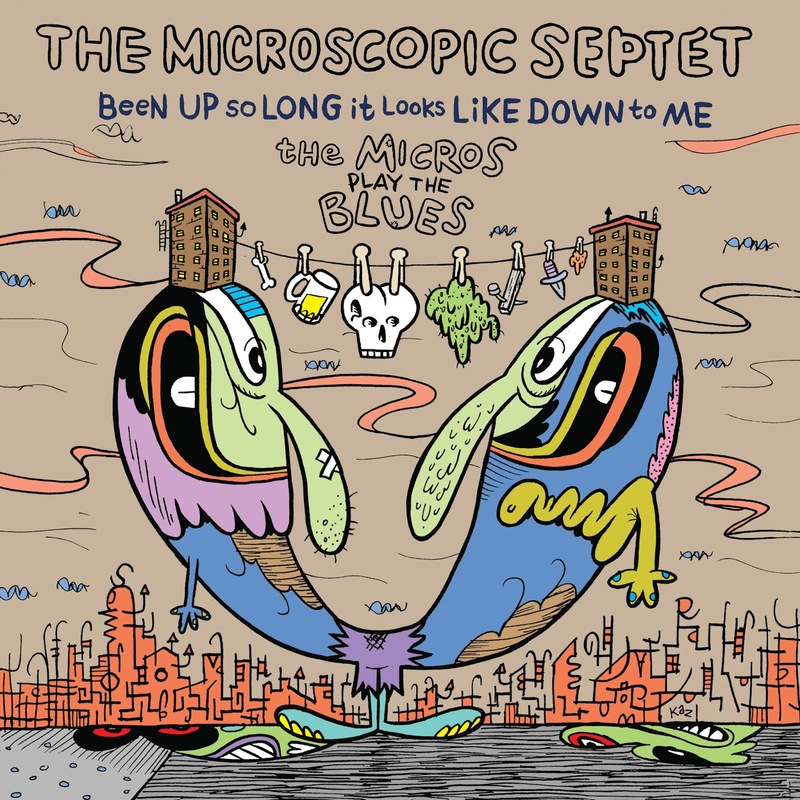 The Microscopic Septet first came to life during the early 1980s, bridging the gap between Uptown and Downtown New York jazz. (Pianist Joel Forrester composed the theme for Fresh Air with Terry Gross.) They hung it up in 1992 and four albums, only to pick up again 14 years later and they continue to forge ahead. And the blues continues to grow as well. I can get rather particular about what I like when it comes to modern jazz groups paying tribute to some bygone era of jazz. If the music seems more devoted to recreating some classic album instead of using the songs to create something new, my skepticism comes on. On the other hand, if a group tips their respective hats to a jazz legend and plays it with the same high level of energy that their predecessors did, they're bound to push it forward and bring new life to it. That's the way it felt last Saturday at the New Hazlett Theater when Terell ("TEHR-el," as I found out that night) Stafford's quintet came to town. More than anything, this group played like a unit - five guys all on the same wavelength, working together and driving each other. Their two sets leaned heavily on the music of Lee Morgan, but they weren't simply bowing down to the master. Stafford clearly realized that if he is going to play these tunes, he needs to play them with fire. His solos, and those of tenor saxophonist Tim Warfield, Jr. seemed to be lighting a fire under drummer Billy Williams because there were several times that Williams seemed to be adding fills to the music in response to what the horns were playing. During "Mr. Kenyatta," Warfield broke into some Coltrane-like riffs and growls toward the end of his solo, proving that in addition to being a strong melodic player, he can get wild too. Stafford responded by shaping his solo in a way that Sean Jones often does: starting low and subdued and rising up into a frenzy. Pianist Bruce Barth's name pops up a lot on recording sessions with various people. In person, it's clear why. He shapes chords in a manner that adds a great deal to the music, expanding the melody and tugging on the ear. In a duo version of "Candy" with Stafford, they took the bright melody and turned it into a muted ballad, with Barth adding stride piano, along with touches of Errol Garner and Monk. The second set opened with Morgan's "Petty Larceny", another raunchy piece of funk, which perhaps not coincidentally found Warfield quoting Hank Mobley's "Funk in the Deep Freeze" during his solo. The tune also let bassist David Wong really stretch out for an impressive solo. When Stafford brought it back together it almost had the feeling of a revival meeting. Stafford introduced the next song as one of the most beautiful songs he's ever heard, and I was hoping that he'd go back to his Billy Strayhorn tribute and do "Lush Life," which is one of the most beautiful songs ever written. Instead they did Dizzy Gillespie's "Con Alma," which was both lyrical and swinging with a solid Afro-Latin beat, though after the intensity of "Petty Larceny," it was the one time during the night the energy crested. That changed when the group played "Yes I Can, No You Can't" next. On the way in, I talked with Gail Austin and Mensah Wali of Kente Arts Alliance, who brought the Stafford band to town. The word was that their sound check alone was worth the price of admission. While making announcements between sets, Wali asked the audience to "trust us," meaning that the Alliance (now in it's tenth year) always works hard to present a good show, something worth coming out for. It got me thinking that the people in attendance already trust them but it's the ones who didn't come out who need to keep that in mind. While Stafford might not exactly be a household name, you don't need to know his whole catalog because, in person, he'll blow you away. Following that line, he's also the kind of performer that should make more jazz fans remember Kente Arts down the line, realizing that a show of theirs is worth the investment. With a fall schedule coming up that includes vocalist Rene Marie and drummer Louis Hayes, keep your eyes peeled for their schedule.